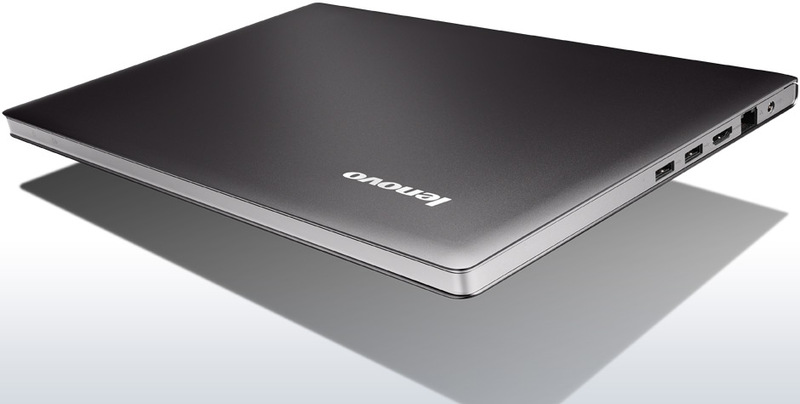 Lenovo IdeaPad U300e Ultrabook comes with a 13.3-inch HD LED display. This Ultrabook has a choice of Intel Core i5-2467M or i3-2367M processor. IdeaPad U300s has one memory slot. For data storage, it offers up to 1 TB HDD or up to 64 GB Solid State Drive. This Lenovo Ultrabook is equipped with one USB 3.0 port, two USB 2.0 ports, headphone-out, microphone-in, HDMI, SRS Premium Surround Sound, Integrated Stereo Speakers, 1.3 MegaPixel camera, 4-cell battery, Bluetooth, 802.11 b/g/n WLAN, and 10/100/1000M ethernet. For security, it features Anti-theft and Active Protection System. This Ultrabook is only 18.3 mm thick and 1.58 kg with 4-cell battery.